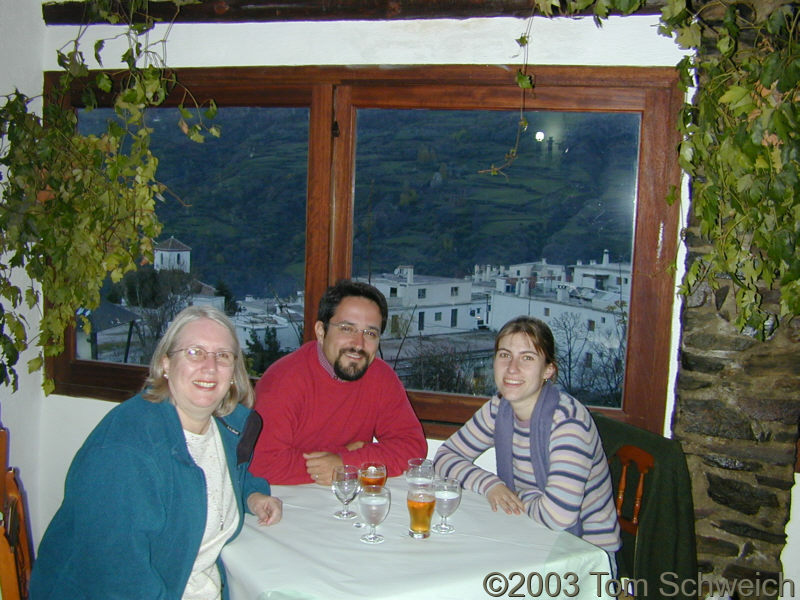 Photo: Dinner at Restaurante Alpuxarra. Eastern Mojave Vegetation Dinner at Restaurante Alpuxarra. For dinner we went to Restaurante Alpuxarra, just across the road from Finca los Llanos. Nacho and I had the Plato Alpuxarreño, which was a blood sausage, another sausage something chorizo, patatas pobres, and a fried egg. I tasted the blood sausage and decided it wasn't for me. The papas a la pobres were fried with onion and pepper and of course lots of olive oil, so while burned in some places they were not crisp.